Another successful year at the Des Cullen Classic & Vintage Car Show! This year’s Des Cullen Classic & Vintage Car Show in aid of NCBI was a great success! Thank you to the committee for their time and hard work to organise this annual fundraising event. 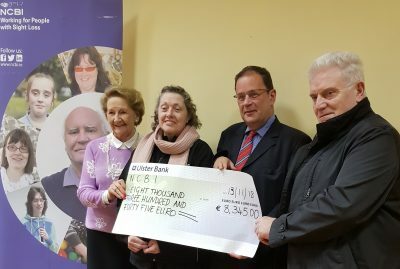 Angela, Jean and Kevin called to NCBI Head Office yesterday to present us with a cheque of €8,345 for NCBI. Brilliant work by all and we had a chance to chat about next year’s event – we are looking forward to it already!